Botkin hospital is one of the best not only in Moscow but also in Russia. She is known just as the Institute Sklifosovsky. Here we are treated like famous people and ordinary citizens. It is clear that the patient flow is large and almost every relatives. Therefore, to know how to get to this medical institution is necessary. The closest metro station is 700 metres from the Botkin hospital is "Running". That is, from the metro you can reach the hospital on foot. For this we need to get out of the subway on Khoroshevskoye highway a little bit to go towards metro station "Polezhaevskaya" and turn into the street Margelova, which will lead to the fence Botkin hospital. On the way from "Running" to the destination will have to spend about 10 minutes. There is a second option as to walk to the Botkin hospital. For this we need to reach the metro station "Dinamo", then move the Leningrad prospectus and go ahead for about 400 meters. Then turn right at the 1st Botkinsky proezd and walk straight about 300 meters. This path will take about 15 minutes. But if you don't want to walk there, it takes you to the Botkin hospital on the bus. For example, from the metro station "Dinamo" directly to the main entrance to the hospital there is a bus number 84. It is necessary to travel only three stops, and travel time is not more than eight minutes. You can also catch bus No. 12C and 27 or trolleybus №1 from the metro station "Belorusskaya". A few stops will be the Central entrance Botkin hospital. 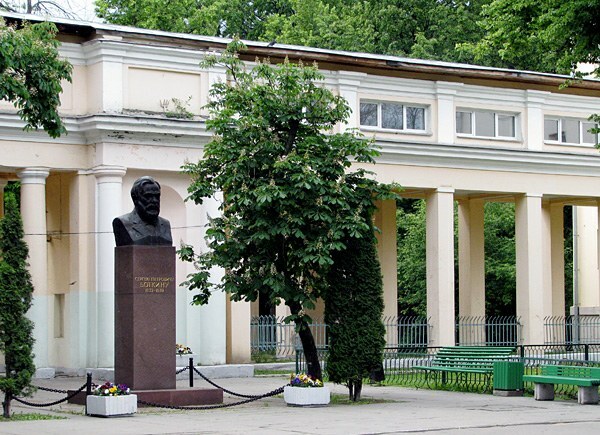 The second option of the trip — near the metro station "Savelovskaya" get on the trolleybus No. 75 or No. 95. They can be way longer because when you move through the Third ring even on weekends there are often traffic jams. As for taxis, the metro station "Begovaya" goes the route 593м. This bus brings you to the destination in seven minutes. You can reach the main entrance Botkin hospital on the same minibus №593 and from the metro station "Belorusskaya". In this case, the road will have to spend less than 12 minutes.